The automotive industry, and the creative engineering that fuels it, has been my lifeblood from a very early age. From building two multi-award winning show vehicles - cover cars in European magazines, Performance VW and Volkswagen Golf Plus - to an exclusive career now photographing vehicles for the world’s leading manufacturers, cars are an integral part of my life and work. I have a particular leaning toward photography of modified and ultra-premium marques, but my flexible and eclectic style can lean toward any vehicle denomination, just as my profile of work across numerous countries means I am comfortable shooting in locations across the globe. Multi award-winning McLaren 650S Spider, crafted by McLaren Automotive. The McLaren 650S Spider is the successor to the 12C Spider - the model that marked McLaren’s re-entry into the supercar market, after a long hiatus since the last build of the famed F1 hypercar in 1998. This photography shoot took place in the searing summer heat of the Nevadan desert and made for an ideal location to showcase the instantly-recognisable orange hue and its bold juxtaposition against the monotone desert landscape. You can view further images from the shoot by clicking here. 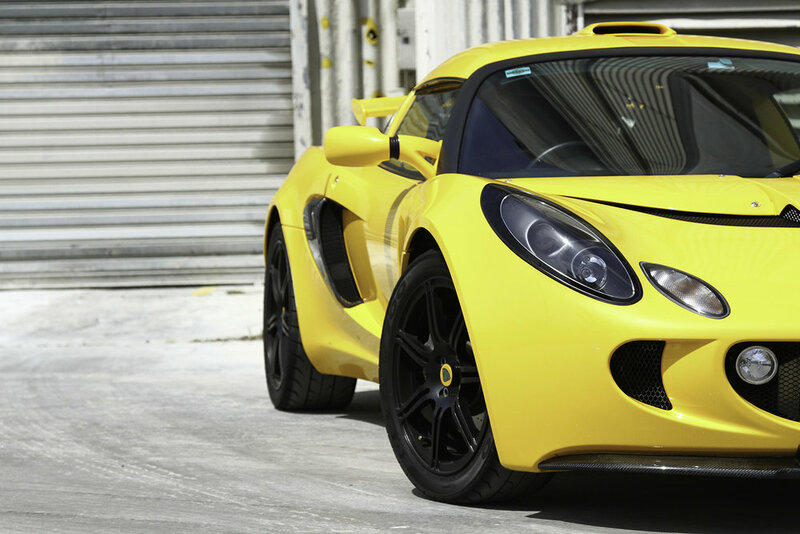 A photography shoot for Proactive Magazine, on Behalf of Lotus Cars, this immaculately-kept Series 2 Exige S is based in Melbourne. The striking Solar Yellow paintwork meant the ultimate shoot location was an abandoned concrete works in West Melbourne, where the muted and dusty tones of the background allowed the car to dominate the composition. More images from what was an extensive shoot are dotted throughout our Instagram page. One of the most famed restorations in the global modified VW community, “Project Carbon” (a reference to the sheer number of custom carbon fibre parts used in the build) is the only Australian-built classic VW to feature in the high profile European publication, Performance VW. Hand built from a bare shell in Tasmania, Project Carbon features a Dutch-built ABF 2.0 16v engine, revving beyond 10,000RPM, and producing in excess of 300BHP. The car now resides in NSW, but an original video of it in action can be viewed here on YouTube.